Joining the ever popular Teksta family of toy pets comes Teksta Toucan! Taking toy robotics to even higher levels, this incredible bird has been fitted with the newest ultra-sensitive voice recognition chip for even greater control and sophistication. His interactive eyes seem to spookily follow you around a room, and kids will be in fits of laughter listening to his amusing jokes! Teksta Toucan can also perform magic tricks and even play some clever games like ‘read your mind’. 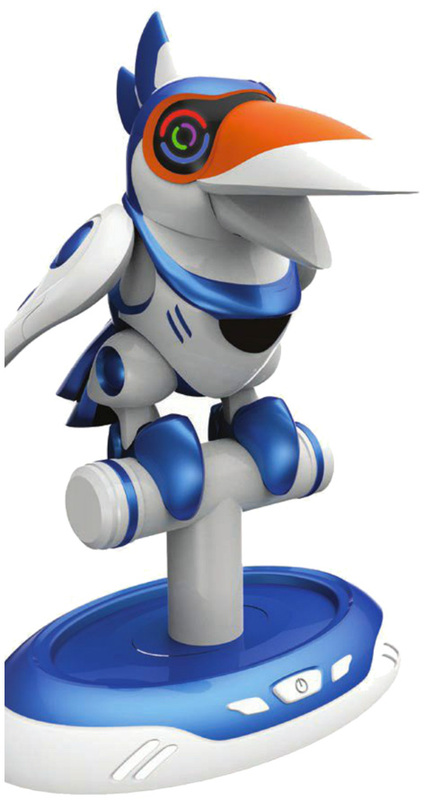 This fun robotic buddy also comes programmed with a Room Defender mode as well as making bird like movements and sounds. Extra content can be downloaded from the internet and transmitted via Bluetooth technology. If you want to read more about some of the other Teksta toys, check them all out here - Teksta Scorpion, Dalmation Puppy, T.Rex and Kitty. Please tell us what you think of the Teksta Toucan by Character Options.